A good working reed is essential for consistent, beautiful playing. 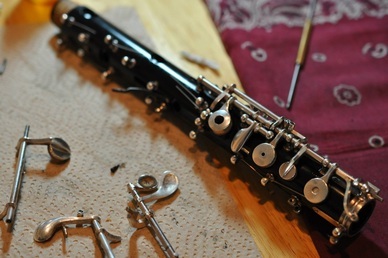 The store-bought reeds from local music stores are not adequate, and will often hinder a student’s progress. Below is a list of sources for quality, professional hand-made reeds. Plan ahead and allow for 2-6 weeks for delivery. Great prices on all reeds and supplies! Prices: $23 each, $21 for orders of four or more. Excellent oboe and English horn reeds! Will make to your specifications. Also supplies cane. Prices range from $18-28. Based on experience and reviews, I suggest trying one of the following. Prices range from $25-27. I have not tried these personally, but have heard good things from other oboists in Wisconsin! Prices range from $20-25. The Superior Intermediate Oboe Reeds are consistent and reliable. Here in Wisconsin, I end up scraping quite a bit more cane off and they work great for my students. Prices range from $18-28. These are my current recommendations for students interested in purchasing a beginning reed-making kit. Both kits are offered as a great price and include tool pouches and sharpening stones with the basic reed-making tools. Note: remember to specify the color of thread when ordering a kit. The new MMI oboe reed-making kit comes complete and ready for all levels of oboe reed-making. Comes with - Wilson Single Nylon tool pouch, Rigotti oboe mandrel, Pisoni short blade double-hollow ground knife, medium cutting block, ruler, pointed Rigotti plaque, cake of beeswax, 10 pieces of gouged & shaped Rigotti oboe cane, 5 MMI Artiste oboe staples in brass with natural cork, a 6 x 2 combination sharpening stone, and a double ended, 200 yard spool of FF thread with a color of your choice. Reed Pros has several options available, and I think this is the most economical option for beginning reed makers.